This may look like just any old barn to you, but I love this barn. Having spent countless hours playing in and around it as a child, it is impressed in my being. Built by my grandfather, or “Pop-pop” as we called him, sometime in the 1920’s or 30’s, it has seen a parade of weather, animals, and people. My mother grew up in its patchwork presence as did my brothers and I. My imagination took shape in the untethered hours in its company, as did my love of things old, rusted, weathered, and worn. This barn, as well as another shed and outhouse, were a feast of texture for the eyes with their discolored woods, rusty old tools, and abandoned treasures hidden inside. The characteristics that move me when I see old barns are the same ones I attempt to fuse into my own work through the building of textural layers: the scumbled vestiges of paint, the patina of grunge and grime, the nearly hidden sublayers, and the scrape marks of entities unknown. All these create a textural beauty and mystery that invite closer inspection. Writing this post has inspired me to create my first Pinterest board. It is a tribute to old barns: each extraordinarily unique, full of character, and brimming with secrets. I have a penchant for the seriously leaning ones (the rubbernecking kind), so I’ve included a few of those too. Many of these ‘pins’ are available as prints from very talented photographers. Clicking on each pin should take you through to the original website. 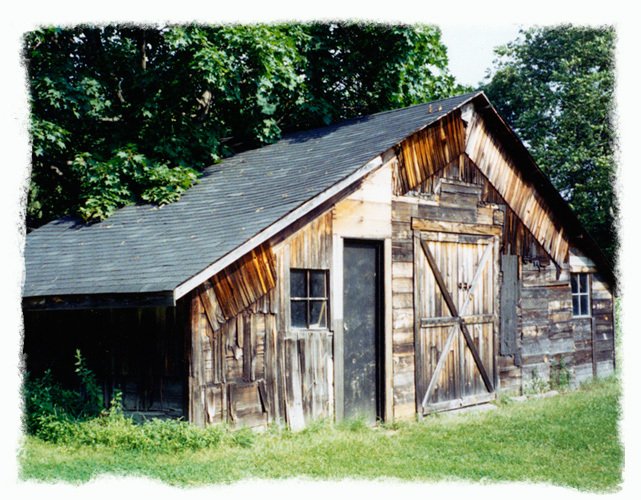 Check out my ‘Old Barns’ pinterest board here. Enjoy!